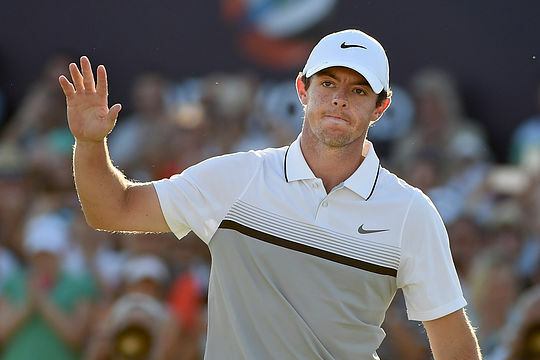 Rory McIlroy may have politely declined to contest this year’s Irish Open but it would seem there was no escaping a new PGA Tour mandate that states players who have contested fewer than 25 tournaments in a season must add a tournament they have never contested. So McIlroy has added the RBC Canadian Open to his schedule and it is little wonder organisers of the only Canadian event on the PGA Tour are excited. We’ve seen the same reaction this week at the Valspar with Dustin Johnson making his debut at the event after being in similar circumstances last year. Helping to attract McIlroy was the Canadian Open moving from its date in the week following The Open to now being sandwiched between The Memorial (May 20 – June 2) and the U.S. Open (June 13 – 16). The move reflects the rise in stature of the only PGA Tour event staged in Canada with the prize purse up $US 1.2m to $7.6m. It means the current World No. 4 ranked McIlroy will now play three events in succession following a week off after the PGA Championship at Bethpage Park. “It’s incredibly exciting,” said Bryan Crawford, Tournament Director for the Canadian Open. Joining McIlroy will be the likes of Dustin Johnson, Brandt Snedeker, Webb Simpson, Matt Kuchar, Canadian No. 1 Adam Hadwin and Jim Furyk, who McIlroy denied victory last Sunday in Florida. Johnson is the tournament’s reigning champion, while Furyk won in 2006 and 2007 and Snedeker took the title in 2013.